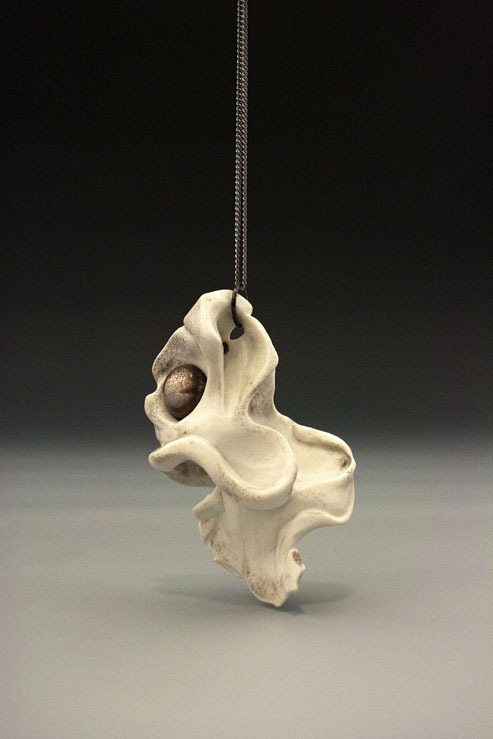 I began working with clay my sophomore year at Southern Illinois University and was intrigued by the medium. My work consists of hand-carved and wheel-thrown, porcelain pottery. The process is a form of meditation for me, allowing my hands to speak through the clay. I decided to break away from functionality within my work and take a more sculptural approach. I appropriated the carvings from my ceramic vessel forms, and began applying them to small fist-sized balls of porcelain. Shells, fungus, and bones inspired the surface manipulation of my work. I enjoy how objects like a shell, protecting the organism, act as a beautiful armor for the sensitive life forms inside. 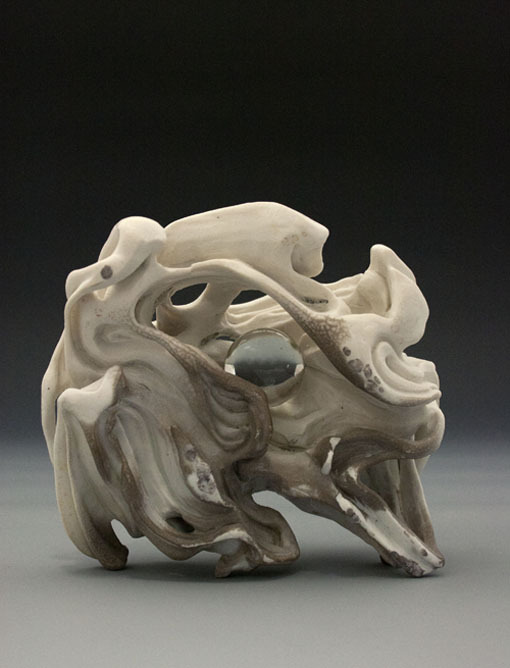 My work speaks of the graceful yet sturdy appearance in naturally developed defense. I appreciate the concept of these protective exoskeletons, and often the exterior is just as attractive, if not more so, than the interior. 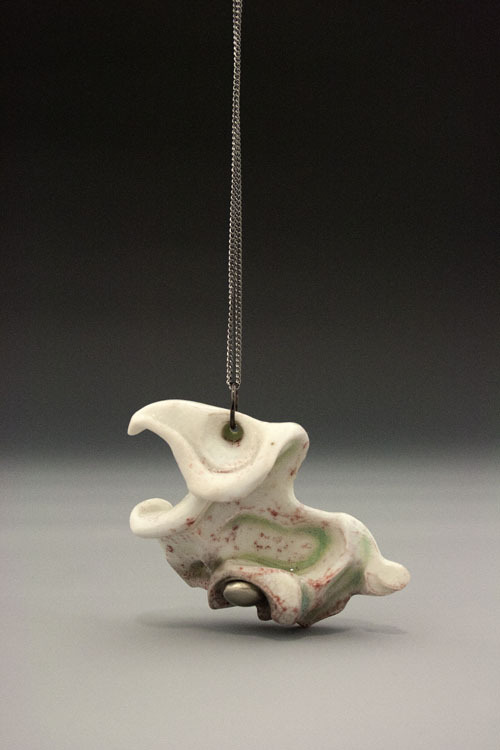 I began working in metal and applying the concepts from my porcelain work into a new medium. The appearance of this new material in my work acts as a stark contrast to the matte surfaces of the porcelain. I was intrigued by the idea of the resilient being shielded within the forms and yet revealed for its beauty.